A film that casts opposition leader Rahul Gandhi and his family in an unflattering light ahead of a national election later this year has kicked up a controversy ahead of its release on Friday. 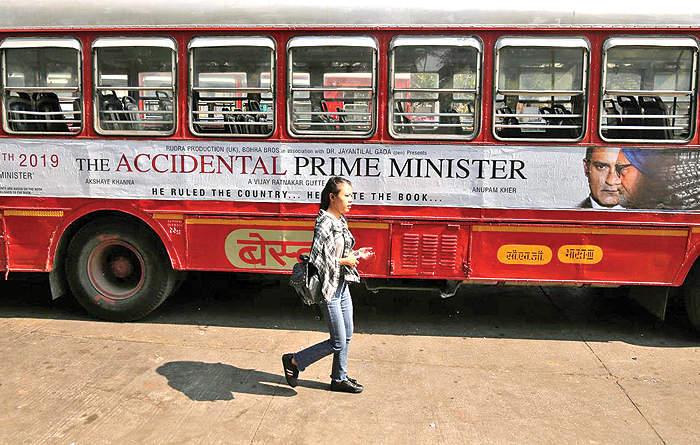 Commentators on social media and television news programs have taken swipes at the makers of “The Accidental Prime Minister” for pursuing a political agenda, while a spokesman for the Gandhi’s Congress Party has derided it as “propaganda”. Based on a 2014 book of the same name, the Bollywood movie is billed as a chronicle of Manmohan Singh’s ten-year premiership, as narrated by his former media advisor Sanjaya Baru. The trailer has garnered more than 63 million views on YouTube. In one scene, Singh’s wife is shown asking her forlorn husband: “How much more will the party insult you? Why can’t you say something? Singh, now 86 years old, could not be reached immediately by Reuters for comment. Anupam Kher, the actor who plays Singh, has been an ardent Modi supporter and his wife is a national lawmaker for the BJP. Akshaye Khanna, who plays Baru’s character in the film, is the son of Vinod Khanna, a film actor who was also a BJP lawmaker.